The Aspen Valley Ski and Snowboard Club is bringing back the Bill Koch Youth Ski League, a recreational cross-country skiing program for kids. Before Jessie Diggins and Kikkan Randall reset the bar last winter on what American cross-country skiers were capable of, it was Vermont’s Bill Koch who blazed the trail for the sport in the United States. The program disappeared over the past decade-plus in the Roaring Fork Valley as the AVSC’s recreational programs were all rolled into the Base Camp program. But, with the alpine Base Camp program going back to its old name — Aspen Supports Kids — in honor of the late Bob Beattie, it seemed like a good time to bring back the Bill Koch Youth Ski League, as well, replacing the Nordic Base Camp program. 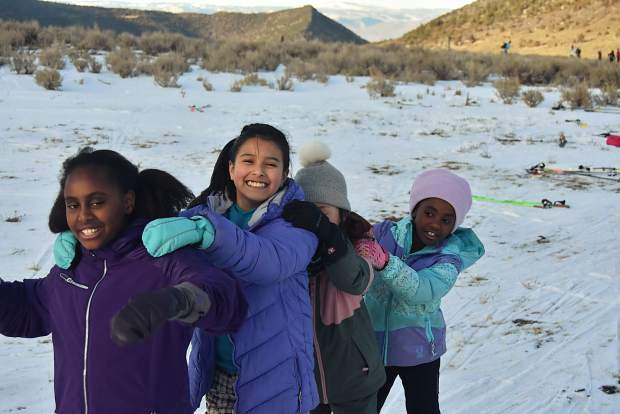 Meant for children ages 5 to 11, the program strives to provide a fun avenue to get youth interested in cross-country skiing. The non-competitive league is still big in the Northeast, Koch’s native home, but has lost ground in the Rockies. Aspen will be only the third area club to currently provide the league to children, joining the clubs in Leadville and Summit County. There are one- and two-day options for the Bill Koch League in the valley. In Aspen, sessions are held either Monday or Wednesday, taking advantage of the district’s early release. The two-day option, which is typically for the older kids, will be Mondays and Thursdays. The days won’t conflict with the Aspen Supports Kids alpine programs, meaning children can enjoy both gravity-fed sports as well as cross-country ski, if they so choose. Much like with Koch in the late 1970s and early ’80s, Teague is seeing in increased interest in cross-country skiing after Diggins and Randall won Olympic gold in February during the Pyeongchang Games. Their medal was the first for the U.S. in the sport since Koch’s silver.